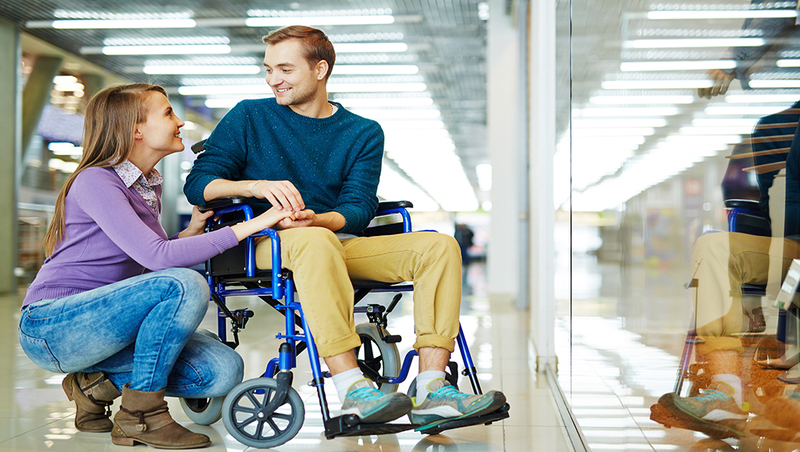 When it comes to dating someone in a wheelchair, there are many assumptions that people make. You’ll be subjected to stares and possibly even negative commentary from people who see the two of you together. It’s unfortunate, but still a part of our social standards. People will naturally be curious about the pairing. You may even have people approach you and ask questions. The good part is that it doesn’t really matter what other people think. It only matters what you think. If you’ve met a great person who happens to use a device for mobility, the last thing you want to do is look like a jerk in front of them. You want to show that you’re sensitive to what they might be going through. You want to show them that you’re caring and understanding. Above all else, you want them to know you’re genuinely interested. Whether or not you’re self assured, there are going to be questions. Do you ask about your date questions about their limitations? If so, when do you approach it? How can you sympathize? What should you avoid saying? Are they going to need help getting around? The questions go on and on. We’re here to answer some of the questions you have about dating someone in a wheelchair. One of the biggest mistakes made on the first date is joking about their mobility device. This shows a remarkable insensitivity to the restrictions your date might have. There is a way to use humor to break the ice, but it’s a risky tactic. As the date progresses and you get a better understanding of the person you’re with, you can try using humor. Otherwise, avoid making any kind of joke that references the wheelchair. Especially cheesy pick up lines. This is a major turn off to anyone. There’s nothing wrong with bringing up their mobility device. It is a part of your dates life, after all. If you simply pretend that the wheelchair isn’t there, your date might even feel ignored or belittled. You want to avoid having your date feel like that. So, you want to approach the subject as casually as you would with anything else. You don’t want to say “so, what’s it like being in the chair?”. Even if you genuinely want to know, it’s going to come across as insensitive. It’s important to choose your wording properly. Instead, you could ask “how has being in a wheelchair impacted your every day life?”. It’s essentially the same question, but worded more in-depth. This lets your date know that you’re interested, but trying to remain sensitive to the subject. Your date is going to know that you’re curious. It’s basic human nature. As long as you’re sensitive and choose your wording carefully, you’ll be able to talk openly while dating someone in a wheelchair. As important as wording is, so is communication. You want to have an open line with your date. You don’t want to assume anything, in silence or out loud. If you want to know something, you have to ask. It’s that simple. Whether your date requires a mobility device or not, they are still people. People are complex and hard to figure out. In order to learn about someone, questions are required. This goes for helping your date, as well. You won’t want to assume they need help with anything. You should ask instead. They will appreciate the effort that you’re demonstrating, even if they don’t want your help. The thing most people don’t realize about dating someone in a wheelchair is that they are primarily independent. They don’t want or need a hero. They don’t want or need help. They want to feel like they are capable of the same things as everyone else – because they are!